A Sweetener That’s Good For Your Teeth? 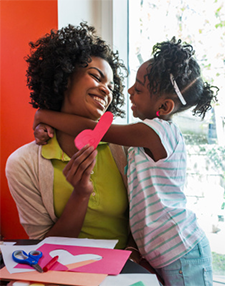 While the consumption of sugar is hard to prevent for patients of any age, encouraging the sugar-free gum as an alternative to normal candies, is a great way to establish long term positive habits for your child. 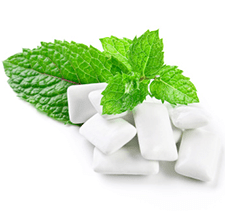 At Hudson Valley Pediatric Dentistry, we are committed to patients’ long term dental health and have created this guide to explain the benefits that sugar-free gum provides for children. To learn more about the steps you can take to keep your child’s teeth healthy well into their adult years, contact Hudson Valley Pediatric Dentistry today. Dr. Geri-Lynn Waldman and our team are dedicated to helping parents achieve lasting dental health. This liquid is best for patients who are experiencing significant decay in their baby teeth, but who do not require fillings for all caries. This not only helps to preserve a greater portion of the healthy tooth structure, but encourages the long-term health of your child’s smile. To learn more about the effects of Silver Diamine Fluoride and other materials used in the regular care of your child’s dental health, please contact us. 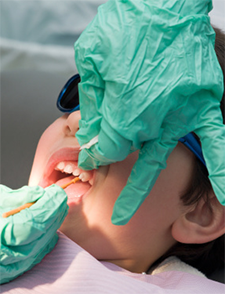 At Hudson Valley Pediatric Dentistry, we are committed to total preventative care. It’s undeniable that fluoride has played a major role in the decline of dental cavities in the United States. However, what isn’t so clear to many parents is whether or not fluoride treatments are safe and/or beneficial for children. After all, children receive fluoride on a regular basis from many different types of foods and even water. Through these sources alone, minerals lost due to plaque, bacteria, and sugars are remineralized on teeth. So, is an additional fluoride treatment at the dentist necessary and if so, at what age are the treatments most beneficial? Read on to find out. While it’s true that fluoride found in foods and water can replace lost minerals, it sometimes isn’t enough to strengthen teeth and protect against cavities. In fact, if you don’t consume enough natural fluoride, demineralization will occur much more quickly than remineralization, leaving enamel at risk and causing tooth decay. Fluoride treatments speed up the natural remineralization process, providing prolonged protection against demineralization and related tooth decay. They are particularly effective in children because they can reverse early decay while protecting permanent teeth as they develop. Drops, Chewables, Tablets, or Lozenges – These treatments are typically used at home for children 6 months and older who don’t receive enough fluoride in their water. Fluoride Toothpaste – After the age of two, children’s teeth should be brushed using a pea-sized amount of toothpaste with fluoride. Fluoride Varnish – Once baby teeth have appeared, children should have a fluoride varnish applied to protect against tooth decay. Typically, varnishes are applied by a dentist twice per year for children two and older. Gels and Foams – As children get older, a dentist commonly applies gel or foam fluoride treatments using a mouth guard. This typically takes about five minutes. Mouth Rinses – A fluoride mouth rinse may be prescribed for children over 6 years of age who are at risk for tooth decay due to genetics or other factors. A mouth rinse is typically used in combination with other fluoride treatments. The most common concern about fluoride treatments is that large amounts can be toxic to the brain, bones, kidney, and thyroid. However, products intended for home use have extremely low levels of fluoride, meaning that you generally don’t have to worry. Store any fluoride supplements or products out of reach of young children. 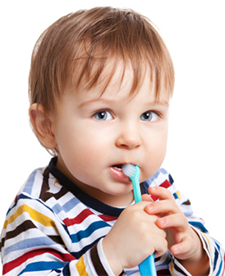 Use limited amounts of fluoridated toothpaste on a child’s toothbrush. Don’t allow children to use fluoridated toothpaste without supervision until the age of 6. Although some parents view fluoride skeptically, professional treatments are integral to your child’s smile starting at 2 years of age. By doing your part at home and scheduling regular appointments, you can help prevent cavities and give children the strong teeth they need both now and in the future. Although your baby is born without visible teeth, it’s still important to care for his or her gums. If you don’t, you’ll leave harmful bacteria behind that can damage teeth as they begin to emerge. You won’t need a toothbrush or toothpaste for gum care. Instead, you can use a soft, slightly moistened cloth or gauze to wipe down your baby’s gums, especially after feedings and prior to bedtime. Your baby’s teeth will begin to emerge from the gums at around 6 months of age, at which point you’ll need to begin using a toothbrush for cleaning. It’s best to purchase a toothbrush with soft bristles, a small head, and a large handle to make it easier for you to clean and more comfortable for your baby. You should start with very limited amounts of toothpaste (fluoride-free) and, as more teeth emerge, you can increase the amount. This will gradually familiarize your child with the taste and texture of toothpaste. It’s vital that you schedule your baby’s first dental appointment before his or her first birthday or within 6 months of his or her teeth appearing. This will allow the dentist to identify potential problems caused by injuries, illnesses, or development complications. If issues are identified, the dentist can treat them or refer you to a paediatrician should something go beyond the teeth’s surfaces. Only put formula, breast milk, and water in baby bottles to avoid “baby bottle tooth decay,” and be sure to clean gum/teeth after the consumption of formula or breast milk as both contain sugar. 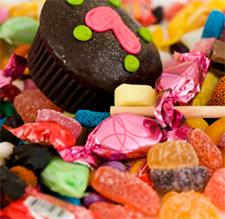 Decrease your child’s sugar consumption, particularly between meals, because sugar feeds bacteria that can attack your baby’s teeth. Never put anything sweet on your baby’s pacifier to encourage him or her to use it. Baby teeth are functionally important during childhood and also serve a critical role as place holders for adult teeth. By caring for them properly from the very beginning, you can promote oral health and create a great foundation for a bright, beautiful future smile. I’m worried that my child will get too much radiation. Are dental x-rays safe and really necessary for children? Dental x-rays are necessary to diagnose cavities between teeth that are not detectable with visual examination. They are used to evaluate the severity of decay, and assess the health of the roots and supporting structures of the teeth. In children, x-rays may also be used to evaluate the development and position of the permanent teeth, and to rule out any potential oral disease. Fortunately, dental x-rays are much lower in radiation in comparison to most medical x-rays. As you can see from the chart below, a single dental x-ray is the equivalent of eating two bananas, and the newer digital radiographs emit even lower radiation. In fact, our office uses a new technology that is so low in radiation that the technician taking the radiographs actually stays in the room with the patient. The frequency of x-rays recommended may vary depending on the patients’ age and dental history. Children who have a history of tooth decay may require more frequent radiographs than those with no history. Currently, dental disease in children is more common than asthma and hay fever, so the earlier that you diagnose and treat decay, the better. If left untreated, dental decay can lead to pain and infection. Dental x-rays are very important for proper diagnosis and treatment. The risks associated with undiagnosed and untreated dental disease far outweigh those associated with dental x-rays.